[ADVERT]Do you ever think of places as being particular colours? My memories of Paris will always be silver - its soft grey light and gentle rainfall made it so. I suppose most cities are really a kaleidoscope of many colours depending on the season and the aspects you focus on and Brisbane is no exception. 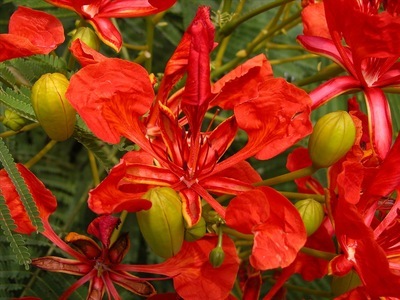 Probably because Brisbane for a couple of months every year is carpeted in the red petals of the poinciana tree, I've decided to begin our colour-coded tour of Brisbane with red. Other Weekend Notes writers have already covered many of the delights of Redland Shire and Redcliffe so we'll bypass them on this trip. A warning though, if you suffer from erythrophobia you'd better sit this one out. 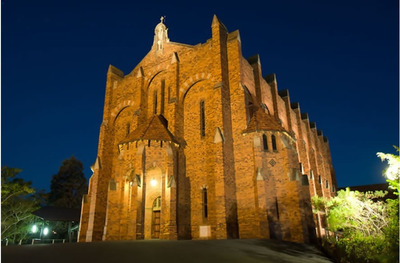 Red Hill, postcode 4059, is a leafy inner Brisbane suburb about 3 km north west of the CBD. Originally named for its steep geography and red soils, it's now famous as the home of the Brisbane Broncos rugby league team, as the setting for Nick Earls' single-in-1990s-Brisbane novel, Zigzag Street, and as a dining precinct. Some really fine examples of Queenslander style houses dot the area and the grand St Brigid's Catholic church, this year celebrating the centenary of the laying of the foundation stone by Archbishop James Duhig, has a commanding position atop Musgrave Road. Eateries include the award winning Italian Biagio Restaurant, Normanby Hotel (a National Trust listed building and official sponsors of the soon-to-be mentioned Queensland Reds), and Bronco's Leagues Club, set to reopen the former Half Time Cafe in late February as 88 Restaurant and Bar. I know that "best keep secrets" is a cliche but I'm constantly amazed at the number of Brisbaneites who've never taken the refreshing forty-five minute trip across Moreton Bay to "Straddie", my favourite Brisbane short break haunt. The sleek Big Red Cat, a 50m long steel and aluminium catamaran, provides a car and passenger ferry service to North Stradbroke Island, part of the Redlands Shire. It has a comfortable, fully licensed cafe with floor to ceiling glass, but if the weather's good I'd definitely recommend the bracing sea air of the observation deck. It's $135 return to take your car or $11 return for adult walk-on passengers and $5.50 for children. Online bookings can be made here. Whether you prefer the laid back 1960s holiday vibe of the sheltered Amity Point (never quite my cup of tea) or the waves, whales and walks of Point Lookout on the ocean side of the island, Straddie really is a place to get away from it all and one of Brisbane's gems. Head over on the Big Red Cat. In the midst of Brisbane's Chinatown you'll find Queensland's only Vietnamese Chargrill restaurant, the Red Lotus - the product of passionate brother and sister team Leighton Rossi and Margaret Nguyen. 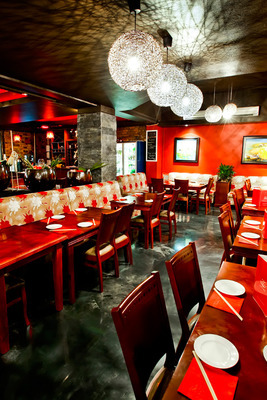 It serves fresh, healthy and interesting traditional Vietnamese fare in funky modern East-meets-West surrounds. Their specialty is of course the chargrill, which includes delectable choices like pork belly and honey lemongrass lamb. They also offer boutique wines, Vietnamese beers and Asian inspired ice creams in flavours like jackfruit and taro. You can find menus, contact details, and even food preparation tips on their excellent website here and you can order online here. Red = Well Fed at Red Lotus. After a number of years as cellar dwellers the Queensland Reds were last year's surprise Super Rugby champions. Their Cinderfellas story ignited the public's imagination and, with changes to the Super Rugby format, 2012 should be a big year. Memberships range from the $65 Forever Red package right through to the Ruby Membership at a whopping $910. If you nominate your grass roots rugby club when you sign up the Reds will make a cash donation back to your nominated club. The Reds' spiritual home is Ballymore but their Super Rugby home games are now played at Suncorp Stadium. The season kicks off on 25 February, and home games are on 3 and 10 March, 6 and 20 April, 13 and 19 May, and 6 and 14 July and fans hope these fixtures will be followed up with some home finals. Tickets are available through Ticketek here. 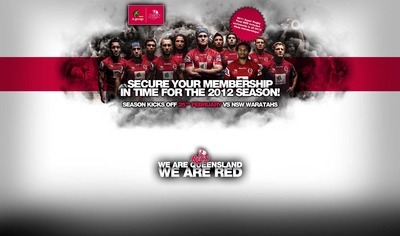 Get along to some Red hot rugby in 2012. Once you've visited Red Hill you'll probably be inspired to do some renovations and The Big Red Shed at 18 Sumners Rd, Darra has been supplying reclaimed and remilled timber for renovation, building and decorating for more than twenty years. 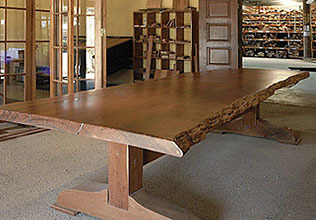 They supply structural timber and floorboards and hand-make unique furniture pieces from beautiful Australian timbers recycled from demolitions and renovations around Queensland. You'll even get a certificate detailing where your timber came from. Recycling isn't green, it's red at the Big Red Shed. Congratulations on a novel idea well-realised Geraldine. I look forward to the rest of the spectrum, and indeed to more of this kind of thing appearing on Weekend Notes. Fun idea for an article, geraldine - especially those of us who are very visual! What a terrific idea for an article! Well written too! Interesting that you chose red. I once took a series of photographs, each featuring red items, on a holiday in Brisbane.